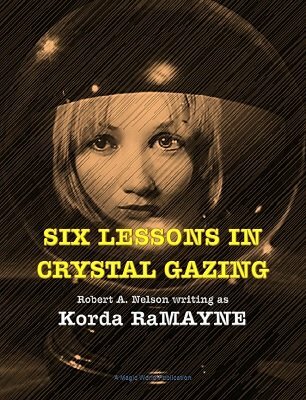 Robert A. Nelson is writing as Korda RaMayne. One of the most complete books ever written on the art of crystal gazing (scrying). Learn how to develop this wonderful ability in your home. Lesson 1: History of Crystal Gazing. Lesson 2: Power of Concentration. Lesson 4: How to Crystal Gaze. Lesson 5: Silent Influence Through the Crystal. Lesson 6: The Million Dollar Master Secret of Attaining Your Desires. Bonus Lesson: The complete Hindu method to make a person at a distance think of you and to cause them to fall in love with you. The ebook has been completely reset in new type, with new illustrations, biography, bibliography, and some minor editing performed to give Nelson's work the treatment it deserves. Priced right, too! 1st edition 1928, 1st digital edition 2015, 44 pages.